31 Frye Street | Oct. 2, All Day! 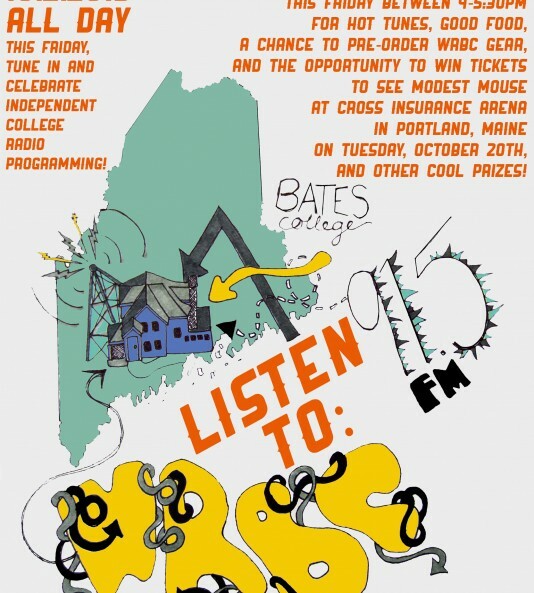 CELEBRATE COLLEGE RADIO AND TUNE IN TO WRBC ON FRIDAY OCTOBER 2nd! At 1pm, we’ll be airing a special feature in honor of College Radio Day. Then, from 4-5:30pm stop by 31 Frye Street for music, food, good company, and the chance to pre-order cool WRBC gear. 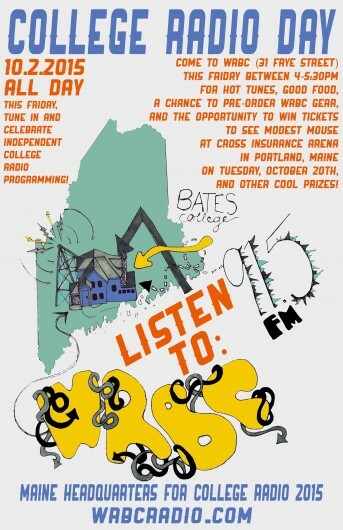 You can also enter to win cool prizes like tickets to see Modest Mouse October 20th at Cross Insurance Arena in Portland, thanks to Waterfront Concerts. AND don’t forget to tune in to WRBC on Monday 10/5 at 8pm to hear Michaela Scanzillo ’16 and Josh Leiner ’18 interview President Spencer.